If you're planning a trip to the amusement park soon, you may want to skip this one. A roller coaster at Six Flags America stranded 24 people in Maryland on Sunday after the ride suddenly broke down. Fortunately, the riders were not going through one of the coaster's upside-down loops at the time, so every passenger remained upright and unharmed. 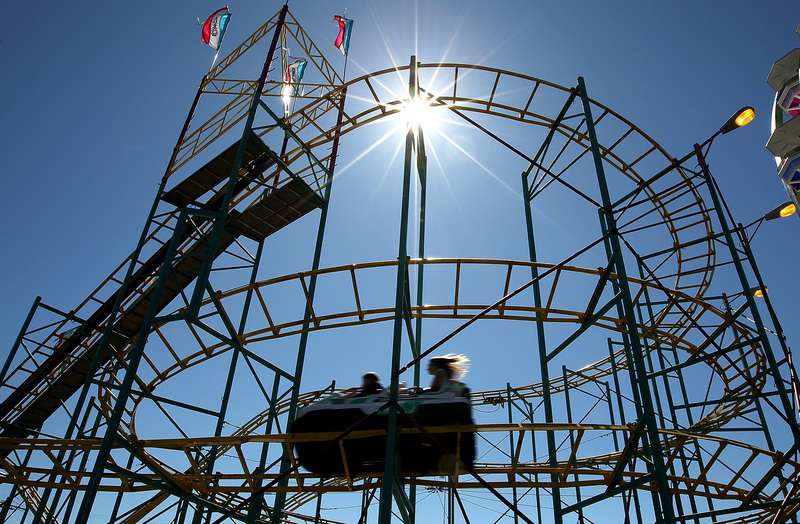 According to The Associated Press, The Joker’s Jinx roller coaster stopped functioning at around 2:30 p.m. Prince George’s County Fire Department officials were called to the scene, and are still working to safely remove the passengers. At this time, they still remain stuck at the tope of the roller coaster, and authorities say it may take a few hours before they're back on the ground. The Washington Post reported that the firefighters are planning to remove the passengers from the ride by a bucket. As scary as that sounds, don't worry — each passenger will be attached to a safety harness first. The Post added that the authorities had to remove some fencing around the roller coaster in order to begin this process. While we are not yet sure what caused the stoppage, the ride performed as it is designed to. The ride will remain closed until the park completes a thorough investigation and both the staff and ride manufacturer have determined the ride is safe for operation. Located just outside of Washington, D.C., in Upper Marlboro, Maryland, the popular amusement park has been owned by the Six Flags company since 1998. The Joker's Jinx coaster first opened in 1999, and is one of the park's 16 thrill rides. The coaster has a thrill level of "max," according to the Six Flags America website. At barely one-minute-long, The Joker's Jinx takes passengers up to 60 miles per hour with help from a motor launch system. There's no pauses or brakes as the ride speeds through loops, corkscrews and rolls, the Six Flags America website states. Unfortunately, this isn't the first roller coaster malfunction Six Flags has had this summer. In early July, a roller coaster car at Six Flags Magic Mountain in Valencia, California, derailed. The car was left 22 passengers stuck and dangling for hours, and four riders were injured.